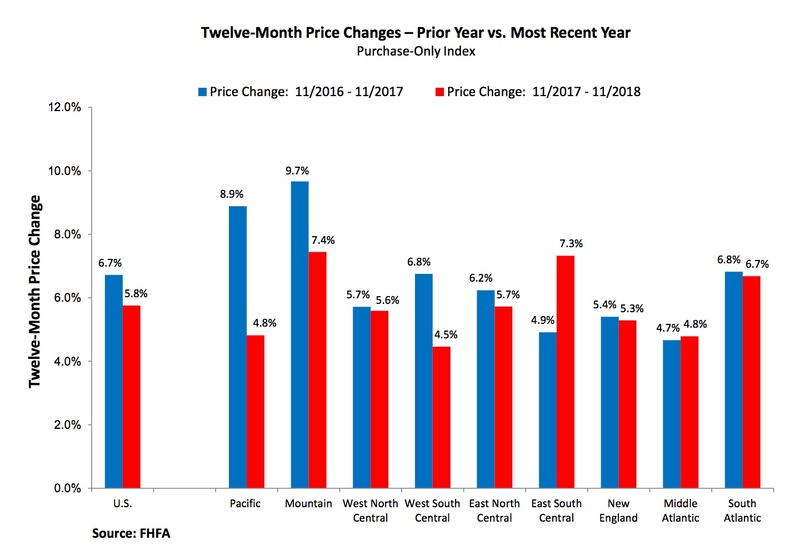 The Federal Housing Finance Agency (FHFA) said its November Housing Price Index recorded an 0.4 percent gain compared to October. The October increase, previously reported at 0.3 percent, was revised to 0.4 percent as well. FHFA numbers, which are calculated from sales price information for homes financed with mortgages sold to or guaranteed by the GSEs Fannie Mae and Freddie Mac, appear to be moving counter to other indices which have shown price growth moderating. 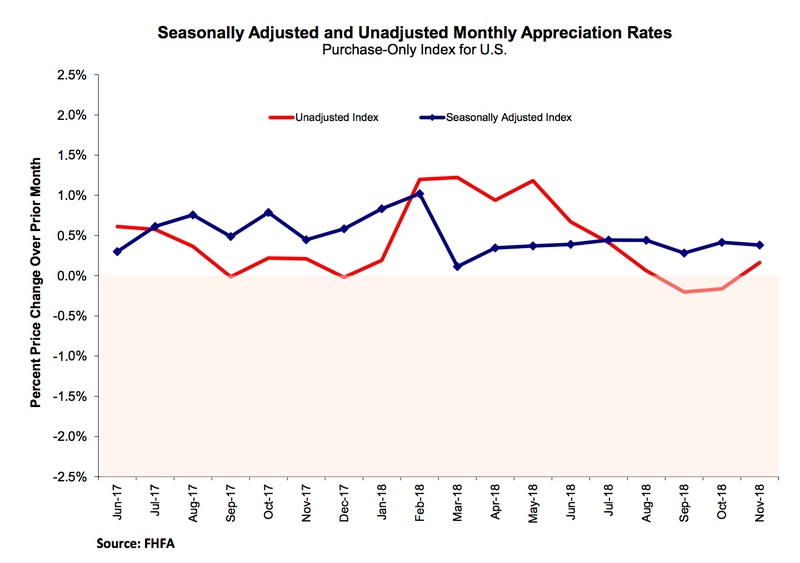 With the exception of September, when it was 0.2 percent, FHFA's monthly number has held steady at 0.4 percent since last May. Home prices rose by 5.8 percent from November 2017 to November 2018. The annual gain in the HPI in October was 5.7 percent. The Pacific division posted the lowest monthly number of any of the nine census divisions, a seasonally adjusted -0.8 percent. That division has posted negative numbers in two of the previous three months. The East North and the West North Central divisions also posted declines, 0.2 and 0.1 percent respectively. The highest monthly return was 1.1 percent in the South Atlantic division. The Middle Atlantic was up 1.0 percent.